Have you ever been so excited that you cannot sleep? When I was a child I would get so excited about holidays and big events that I would not be able to sleep the night before. Lately, I have been experiencing this excitement again. That’s right! I am excited! We are constantly bombarded with “bad news.” The daily news seems to only give us reports of danger, suffering, and death. In fact, when there has not been a local tragedy, the local news will tell us about a homicide in another state. It is as if the only news is “bad news.” We are also bombarded with negative politics that leave us trying to make decisions based on gloom and doom proclamations. I am not sure about you, but it feels like we are always in a political season of some sort. This “bad news” mentality is not limited to our media. Even the Church seems to wallow in negativity these days. At a recent meeting, pastors were given the rough statistics that, in the United States, across all Christian Churches, 80% of congregations are either plateaued (meaning that they are not growing,) or in decline (meaning they are losing more members than they gain). We were also told that roughly 18% were growing, but that this growth is only from churched people changing congregations. That means that only 2% of Christian Churches in the United States are growing by reaching unchurched people. This is not because everyone in the United States is already religiously affiliated. In fact, this is increasingly not the case. This “bad news” is part of what has got me excited! You see, God has a way of turning “bad news” into miracles. Saul was a persecutor of the early Christians. He traveled from place to place to arrest those who followed the Way of Jesus. This was certainly “bad news” for the Christians he encountered. Then God intervened. Saul became Paul and was put on a mission to spread the Way of Jesus around the world. Jesus’ life is the greatest example of God’s turning “bad news” into something miraculous. Jesus was arrested, beaten, and hung on a cross to die. This was certainly “bad news,” and yet God chose to raise Him from the dead. God chose to transform the world in this one great miracle. So the question that you may be asking is, “How is the decline of the Church going to be miraculously used by God?” Well, I am already seeing it. Over the last few months I have had the opportunity to share faith with people in our community who do not yet know God. This “bad news” of Church decline means that right here, in our very community, there are people hungry to know life anew. There are people anxious to know the love and transformation of the God who came, died, and rose again that we might know Him. What we are faced with is not “bad news,” but the opportunity to put our faith into action. Will you join me in getting excited about what God is doing? Will you put your faith into practice and seek out those who are lost and hungry? Will you not only expect the miracle, but participate in it? I hope so! It gives me chills to think what God could do with us. Perhaps all we need to do is stop being negative and start living like the people who know God's love conquers even death itself. On Sunday, May 6, 12-2pm, join us for our annual fundraiser benefitting Nolensville First UMC youth! Funds raised will go towards the cost of our summer mission trips. The UMW met on April 11 with sixteen members in attendance. President Susan Smithburg opened our meeting with a devotion from The Upper Room entitled “Show Me the Way,” Psalm 16:1-11, and reciting the UMW purpose and church mission statement. We would love to see some new faces so please feel free to join us. Our next meeting will be May 9 at 10:30am in the Fellowship Hall with Bobbie Toombs as our hostess. Our April program was given by Karen Hoffmeister with the subject of “Eggs.” Karen shared with us various kinds of eggs and told the history of the egg and how the Easter egg became a part of the Easter celebration. She then had us play a game called “Egg Tapping.” Each person took an egg from the basket and Karen started the game off by having the person beside her hit her egg. This continues around the table until only one person is left with no cracks in their egg. Carolyn Battle won the contest and was awarded a free lunch. On Saturday, May 5, is a Hands-On Mission Event, “Rise Against Hunger.” Meals for distribution will be packaged at Smyrna First UMC. The meeting was adjourned with prayer. Several ladies enjoyed lunch at Southern Hospitality. Our United Methodist Women are serving through giving to GraceWorks Ministries. Every month they are concentrating on a particular need of GraceWorks and would like to encourage the entire congregation to help. In May, they are collecting deodorant. Every month they are collecting items for the Fuel Bag program: peanut butter crackers, fruit snacks, cereal bars, granola bars, fruit cups, and pudding cups. Items can be left in the GraceWorks bin in the breezeway. Thank you! Hey guys! It’s that time gain! Time to roll up your sleeve and do a great deed! Remember, walk-ins are welcome, but we would also love to fill these appointment slots, if we can! Please sign up and tell a friend! Thank you so much for your past donations! We appreciate you so much! The need for blood is constant and only volunteer donors can fulfil that need for patients in our community. Nationwide, someone needs a unit of blood every two to three seconds, and most of us will need blood in our lifetime. 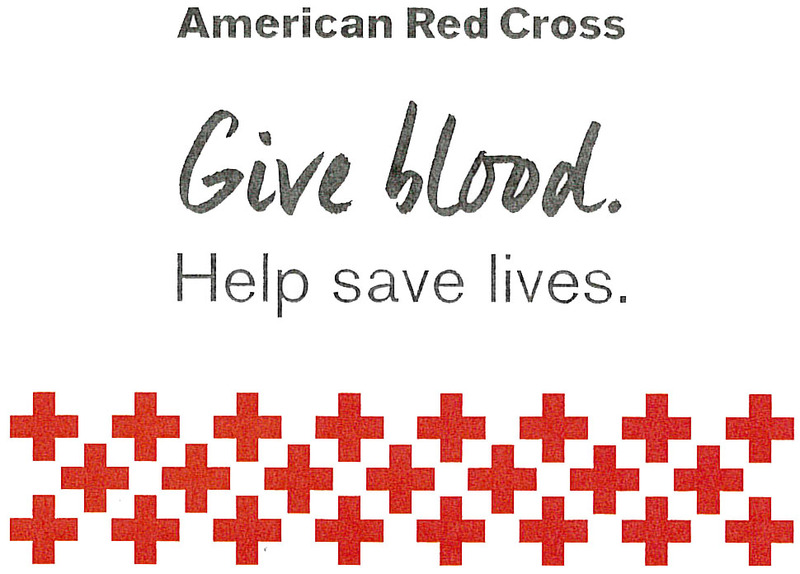 Nolensville First UMC will host a Red Cross blood drive on Thursday, May 10, 1:15-7:15pm in the Fellowship Hall. Please join our lifesaving mission and schedule an appointment at www.RedCrossBlood.org today! Streamline your donation experience and save up to fifteen minutes by visiting www.RedCrossBlood.org/RapidPass to complete your predonation reading and health history questions on the day of your appointment. Download the Red Cross Blood Donor App on the App Store, Google Play or text BLOODAPP to 90999. Schedule appointments, get rewards and invite friends to join you on a lifesaving team. Please join us on May 13 at 9:30am for Second Sunday Breakfast. Bring a favorite breakfast dish to share and come fellowship between the services with church family from the other service! The Good News Sunday School Class is responsible for set-up, drinks, and clean up on May 13. Please remember that the class responsible for Second Sunday Breakfast is also requested to provide cookies, donuts, or other snacks for all other Sundays of the month. Children met for their first Service Sunday on April 22. The kids made cards of encouragement and donated food items to families staying at the Nashville Ronald McDonald House. Cards and donations will be sent to the RMH along with the blankets made by NFUMC youth and UMW. Children also learned about how to serve the church as acolytes. Ages preschool through fifth grade are invited on the fourth Sunday of each month for fellowship, devotion, and a service project. The next Service Sunday will be May 27, 3-5 pm. The service project will be assembling Gift a Gallon bags. Gift a Gallon is a way to provide practical items for hygiene care, send love, and uplift Raise the Roof Academy students and other community children in Uganda during their summer camp. NFUMC kids can make a big difference in the life of a child with a small, gallon-sized gift. Adults are welcome to join us! For more information, visit welovewherewelive.org/children or see the children’s bulletin board in the breezeway. Parents of preschool aged children are encouraged to stay on-site with their children during Service Sundays. In April, Nolensville First UMC helped three families with gas and food assistance. This help comes from your gifts left at the altar rail during Holy Communion. Thank you! Save the date for family night on Sunday, June 10, at 5 pm. All are invited for fun, food and fellowship. Bring your lawn chairs, blankets and favorite outdoor games for a fun-filled evening! More details to come. Fourth and fifth graders are invited to a lock-in at the church from Friday, May 18, 6pm to Saturday, 8am. RSVP to Christina, and let us know if your child can make it. If you would like to contribute to the lock-in by talents or food donations, please contact Christina by May 4. NFUMC has 23 kids and youth registered for camp this summer. The congregation generously worked together to raise enough funds to cover 25% of EVERY child’s camp tuition! As our children prepare for this life-changing relationship with Jesus at camp, please prayerfully consider writing letters of encouragement. For a complete list of campers and dates they are attending, please contact Christina. Letters can be mailed or placed in the children’s ministry office to be delivered to camp. On Sunday, May 20, our church family will celebrate Pentecost. For Christians, Pentecost occurs fifty days after Easter. On that day, the church celebrates the happenings recorded in the New Testament Book of Acts, Chapter 2. When you come into church on Pentecost Sunday, notice the changes in colors in the Sanctuary. Red is the color of Pentecost, and it signifies the tongues of flames seen over the heads of those praying together. The Scripture also tells us that the sound of the blowing of a violent wind filled the house where Jesus’ followers were praying. The sign of the dove is a reminder that God sends His Holy Spirit to dwell with us daily. Join us on this special Sunday for a unified worship service at 10am! We will rejoice with our confirmands, celebrate in their baptism, and rejoice as they are received into our family of faith! 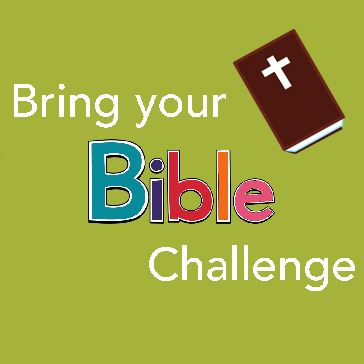 NFUMC Kids did an outstanding job reaching their goal for the Bible Challenge! They are learning how to navigate through their Bible and use it as a tool to connect with God’s Holy Word. Ms. Zannie and Ms. Ginger have been encouraging the children to use their Bibles during Sunday School. Ms. Meredith and Ms. Stacy even had some first graders bring their Bibles! Way to go kids! YOUTH@PLAY - Join us and bring your friends for our end-of-school Lock-In! We will hang out from 8pm until 8am at the church! Bring an air mattress! YOUTH@514: SUNDAYS 5-7pm — oin us for a time focused on growing together in our faith through food, games, worship, a lesson, and small group discussions. This year, VBS: Game Changer will be July 15-18, 6-8:30pm. It is truly amazing to see what God does during that week! If you would like to be a part of VBS, please let us know your interest and talents by visiting the link located on our website, welovewherewelive.org/children. NFUMC Children’s Choir Summer Musical, “What’s Up, Zak?" composed by Kimberly Ingram, Joe Milton, and Heather Olson. Rehearsals will be Tuesday evenings, 6-7pm, beginning May 29, and a meal will be served at 5:30pm in the Fellowship Hall. The musical will be presented during Sunday morning worship on August 12. This production will incorporate costumes, speaking parts, choreography — you name it! The musical will also include numerous roles. All kids (rising second grade and older), youth, and even adults are welcome to participate! If you have any questions or special needs, please contact Sandy Murray at music@nolensvilleumc.org. NFUMC will be a partner church with Project Transformation this summer. Project Transformation helps children in disadvantaged areas retain their reading skills over the summer. Christina Clark is introducing Kids Service Sundays on the fourth Sunday of each month. In April, children will be creating cards of encouragement for families at the Ronald McDonald House. The Spaghetti Lunch & Cake Auction will be Sunday, May 6, at noon, to benefit the youth summer mission trips. We expect to have fourteen youth confirmed on Pentecost, May 20. 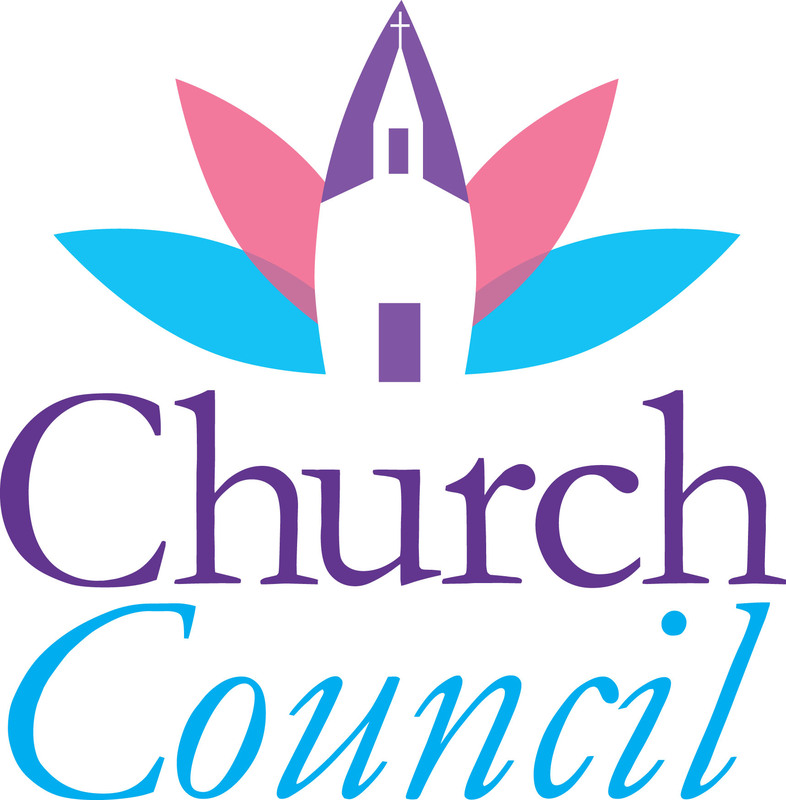 The Lay Leadership Committee is exploring ways to reach out to the un-churched in our community. The SPPRC does not yet have a chair. Given the stability of the staff right now, chair of SPPRC is an easy job! The Trustees will be updating the church locks this summer. Currently, our operating finances are running on a comfortable surplus. If giving continues at this rate, we will have $500,000 by the end of 2018.